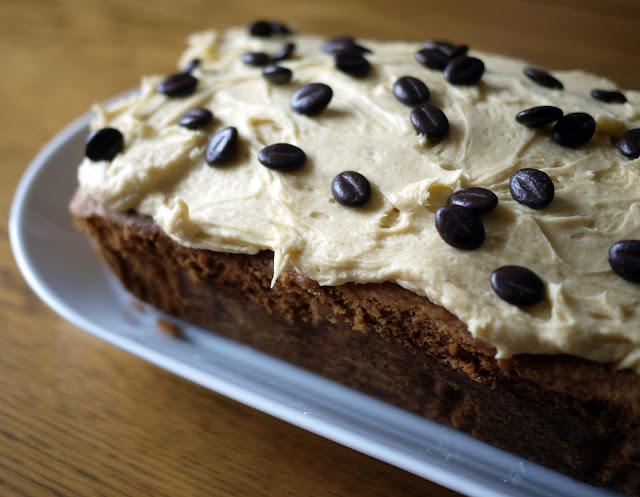 BFF of exhausted, sleep deprived parents, giver of (some) motivation every Monday morning and a rather delicious flavour for a loaf cake. Coffee cake is the homely staple of the village hall bake sale, an easy-pips cake that combines a light fluffy sponge with a bittersweet hit of caffeine. 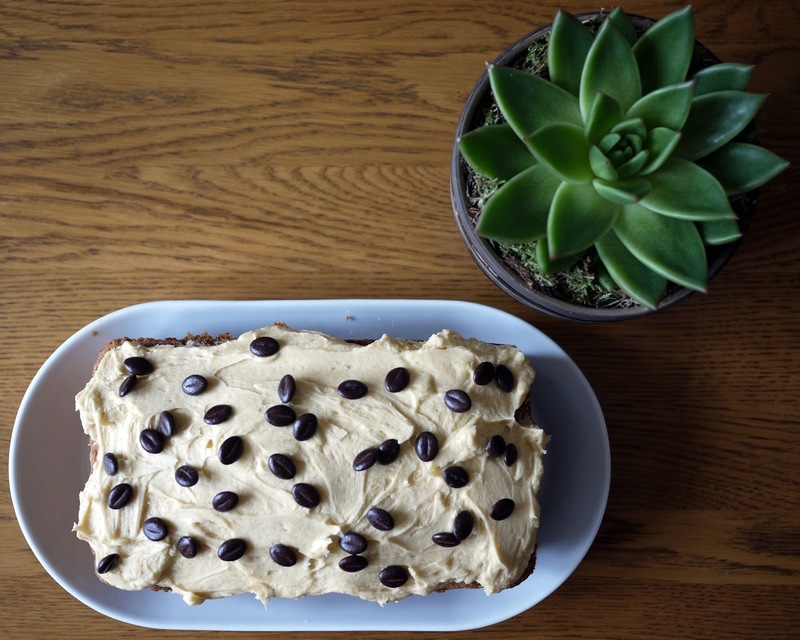 Although let's be honest, you'd probably have to eat the ENTIRE thing to have the equivalent caffeine hit of a triple espresso (don't put it past me though- I've a teething baby and a toddler who loves 5.30am). It's even Nigel Slater's choice for his last meal on earth. And if it's good enough for Nige, well, it's certainly good enough for me. 2. 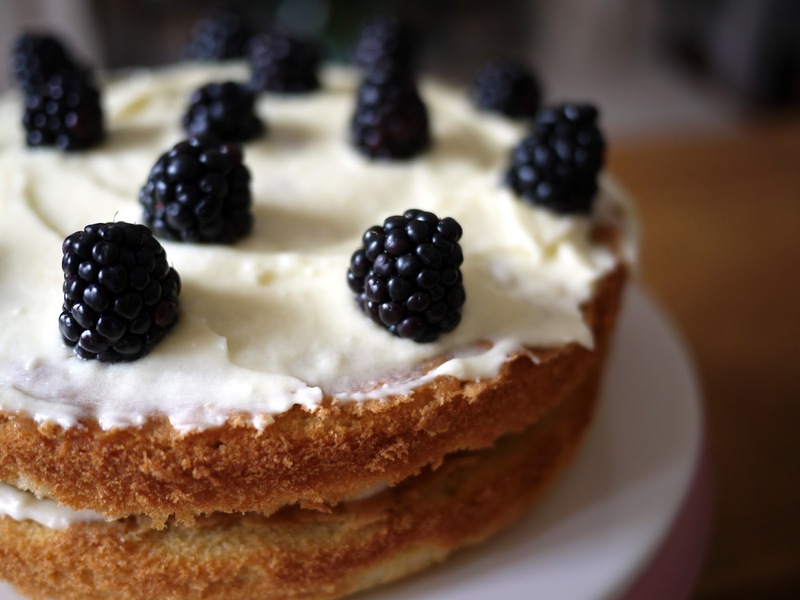 Beat together the butter, sugar, eggs and flour for a few minutes until light and fluffy. Is it just me or does eating a slice of coffee cake with a cup of tea as I am doing right now feel rather wrong... but slightly audacious? It's beginning to look a lot like... oh no, wait, its only the 11th November. Anyway, I'm as crackers about Christmas as, well, Santa himself, but it does feel a little early no? 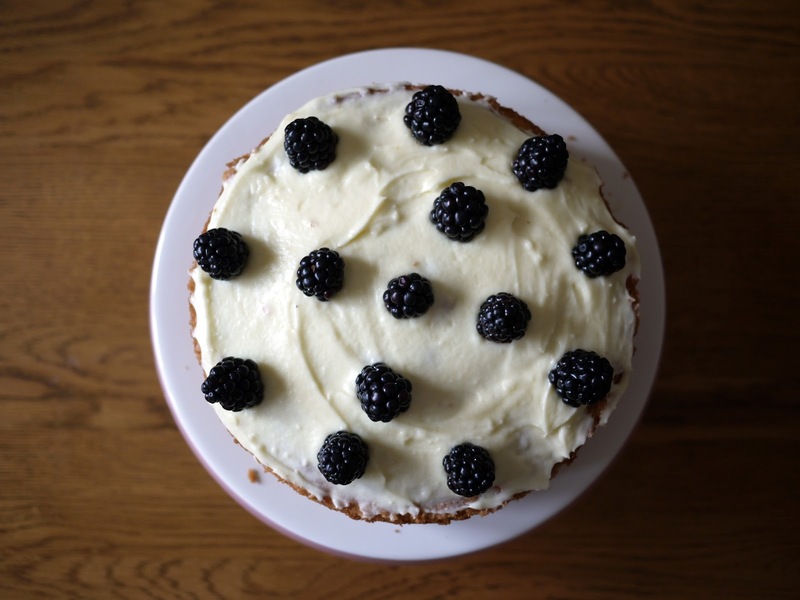 So, in a stubborn attempt to persuade myself we are still in the midsts of Autumn, I baked this very Autumnal sounding Blackberry and Lemon Victoria Sponge. 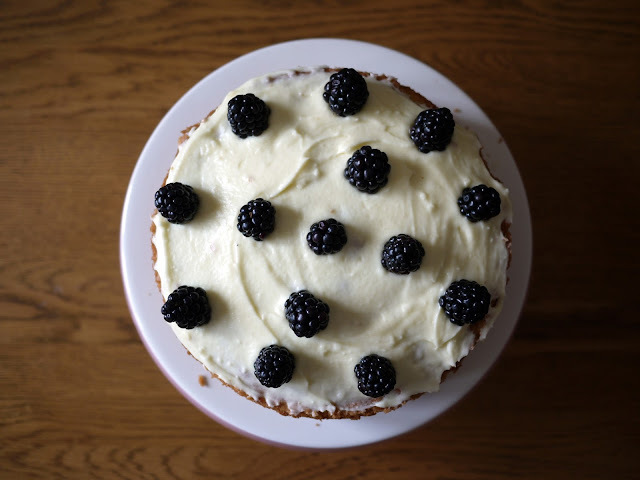 Its a very simple recipe but the tart blackberries and lemon contrast beautifully with the sweet butter icing. 2. Beat together butter and sugar until light and fluffy. Gradually add the egg until completely combined. Edit: Just after typing this post out, I've ordered my first two Christmas presents for the kids. Maybe I am ready to embrace the start the festive season afterall. Certainly the 25% off at John Lewis at any rate.